Rachel Sutcliffe has suffered from a serious immune disorder for the past 14 years, throughout this time writing has been her therapy, it’s kept her from going insane. 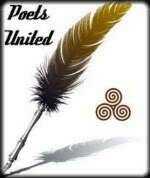 She is an active member of the British Haiku Society and the online writing group Splinter4all. Her work has appeared in numerous print and online journals including Hedgerow, Prune Juice, Brass Bell, Cattails, The Heron’s Nest, tinywords, and A Hundred Gourds. Awards and Other Honors: Work selected for big data: The Red Moon Anthology of English-language Haiku 2014 (Red Moon Press 2015); Journey to Crone (Chuffed Buff Books 2013); The Survivor’s Guide To Bedlam (Brian Wrixon Books 2012); Poets with Voices Strong-In Praise-In Memory- In Ink anthology (Brian Wrixon Books 2012). C.2.2. Anthology of short verse (Yet To Be Named Fee Press 2013); and Kigo: Seasonal Words Issues 1 and 2 (Chuffed Buff Books 2014). Short listed for Desmond O’Grady Poetry Competition, White House Limerick Poetry. #Haiku Happenings #4: I’m sad to share the news of Rachel Sutcliffe’s passing. This may be her last haiku. Rest In Peace, Haijin! You were one of our best! #Haiku Happenings #5: Charlotte Digregorio’s Daily Haiku features Rachel Sutcliffe! We truly lost one of the best of us, haijin. This week, I would like to honor her memory and her beautiful haikai. So let’s do something a little different. Choose your favorite haikai by Rachel (haiku, senryu, haibun, haiga, tanka, renga, etc.). 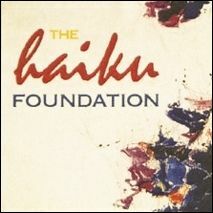 Then, write a comparable haikai poem in the style of your choice that honors the spirit of the favorite that you chose. In addition to her haikai from her Registry and Living Haiku/Senryu Anthology profiles, you can read her website, Project Words. Let’s celebrate Rachel Sutcliffe, haijin! Thank you, haijin, for joining me in this special memorial challenge. Rest in Peace, Rachel! Indeed, Jane! I couldn’t believe it when I heard. Thanks! I have read a fair bit of haiku and most of it doesn’t do anything for me at all, not even the Japanese ‘masters’. I often prefer our amateur stumblings. All of hers that I read were tiny gems. That’s why I reblogged her haiku so frequently. She was a marvel! Frank, I’m confused. I’ve just received, today, 27 January, a post in my WP Reader from Projectwords called ‘winter’. Rachel must have scheduled this post to publish today before she died. It’s so poignant. Tia Haynes shares it on Facebook and remarked that it’s like she knew! i didn’t know one could schedule a post to be published later! That said: it’s a loss and that’s a fact. strangers words can breath new life to new readers. Added to Mr. Linky Frank. Thank you.